Don't forget to register for Choose Your Own West Texas Adventure by 3/8/19! More details and Registration HERE. 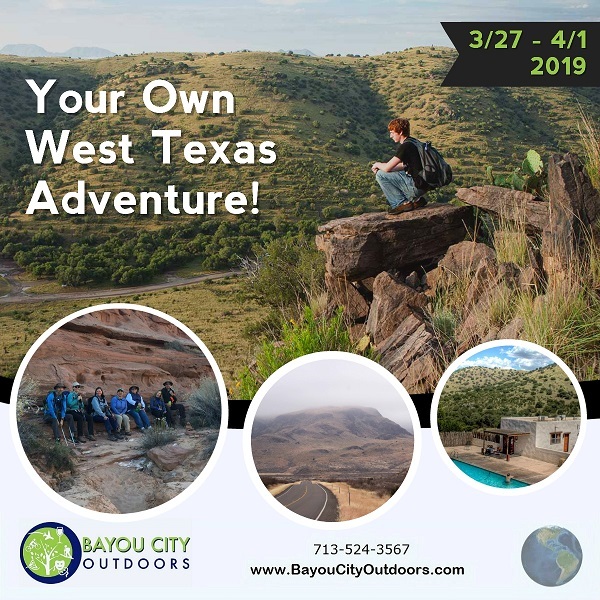 Event Summary: Don't forget to register for Choose Your Own West Texas Adventure by 3/8/19!